Chuck Hagel gives troop talk to U.S. and Israeli troops taking part in the Juniper Cobra 14 exercise at Hatzor Airbase. "When the world is full of great opportunities, it's also full of great threats," Defense Secretary Chuck Hagel said today during a troop talk to U.S. and Israeli troops taking part in the Juniper Cobra 14 exercise at Hatzor Airbase. Hagel thanked the troops for their efforts, adding that they were doing "important work at an important time," reported American Forces Press Service. Defending a nation and helping build a peaceful world is about three things, the defense secretary said: people, capability and partnership. "It wouldn't happen without people, no matter how sophisticated the technology and the systems. ... We must assure that our people are not only capable, but have the most significant capacity of any force in the world," he said. The Juniper Cobra exercise is a "clear demonstration” of an effective, relevant, important and timely partnership, Hagel said. Juniper Cobra is a joint U.S. Israeli missile defense and humanitarian response exercise. Held every two years since 2001, this year's exercise involves more than 700 U.S. troops in Israel. Other American service members will participate remotely from U.S. European Command and other locations, defense officials said, bringing the total number of participating U.S. troops to more than 6,000. Two U.S. Navy Aegis-class ships will also take part from off the coast of Israel. Planning began 18 months ago, the officials said, and the exercise is not tied to any specific regional threat or situation. 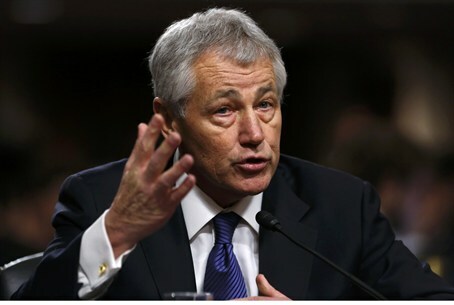 "You are essentially pioneers in building missile defense capability and capacity," Hagel told the gathered troops. "You are defining an important time in our world as we go forward." Joint exercises and training like Juniper Cobra are essential for building partner capacity, the defense secretary said. "This is as complicated and dangerous a part of the world as there is, and what you're doing as you build for the future and give people hope for that future is one of the most important assignments any of us can ever have," Hagel said.